Any living creature appreciates being respected. This will even work with your dog. Respect the Labrador Retrievers keen sense of canine intelligence and when you teach him something, give him time to assimilate the facts and then perform the task. Talk to your pet as you would to an equal. Explain things to him. He may not understand a word of what you are saying. But your mannerisms and the inflection of your voice and your actions will have a lasting positive effect on him. 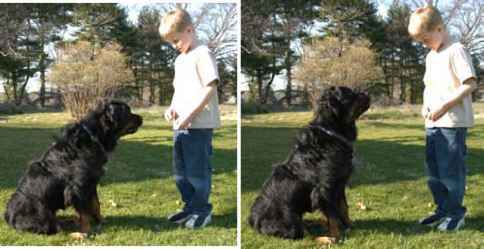 Talking to your dog while training is a strong way of bonding. You ensure that all his attention is focused on you and you alone.